The fall concert series for iHearIC has already begun. I am excited to say that Low Trio will be performing at the next concert! Low Trio consists of me on trombone, Dan Spencer on horn, and Kate Wohlman on tuba. We will be performing John Stevens’ Triangles. 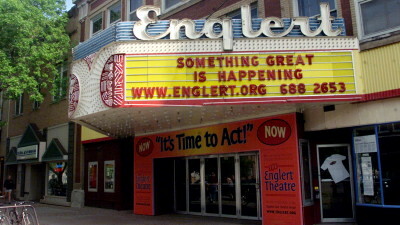 The concert will be on October 3, 2011 beginning at 9:00 at the Englert Theater in Iowa City. Bring your friends– it’s free! To learn more about iHearIC, visit Zach Zubow’s blog. Thanks, Zach for organizing this great event! I have really enjoyed playing in this group– not only are Dan and Kate close colleagues and friends, but they are wonderful musicians. We have encountered some challenges as far as transitioning from the typical brass quintet mentality, but these challenges have opened new doors and have been quite refreshing.